Trans-am is a specialist in USA traffic, our US regional branches are Ocean Transportation Intermediary (OTI) approved by the Federal Maritime Commission (FMC) and we are a NVOCC Participant in the sea Automated Manifest System of US Customs complying with the 24-Hour Rule. These prove the professionalism and the strong financial background of Trans-Am. Furthermore, we have also been developing vigorously for traffic in the European market as well as other parts of the world. With the powerful strength of Trans-Am’s average cargo forwarding capacity, we have lined-up with numbers of carries such as Evergreen, OOCL & MOL. 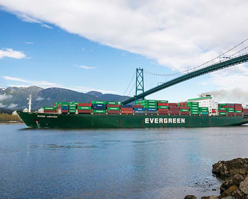 Indeed, we perform a volume of more than 2000 TEUs per month, including 55% from Hong Kong, 40% from China, and 5% from other South-East Asian countries. 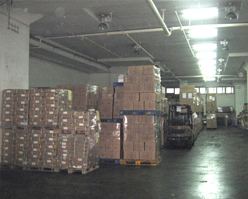 Secure and sufficient shipping spaces are allocated to Trans-Am all year round, so that we are able to meet with the demand and necessities of our valuable customers. Recognizing the rapid economic growth and the burgeoning business development in China, Trans-Am has continued to put much of an effort in expanding the market in China, both Northern and Southern. 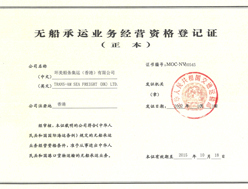 In coping with the operational regulation in China and ensuring appropriate codes of content, we registered with the Ministry of Communication (MOC) of the PRC so that we are legitimately approved to provide ocean logistics intermediary services (ex. ocean shipments from China to Worldwide areas). Under the regulations of MOC, all licensed NVOCC must issue Bill of Lading, which has registration with MOC. 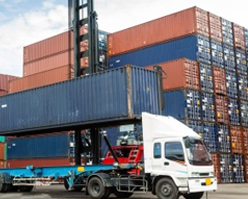 Such filing has been done for the Bill of Lading of Trans-Am Sea Freight (HK) Ltd. to fulfill the requirement of the customers in order to obtain our own Bill of Lading in China. Having a group of experienced staff and a team of experts, Trans-Am offers professional services to our customers, not only limited to shipping process but providing consultation and valuable opinions for freight budgeting and routing. 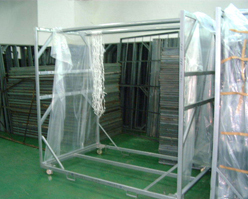 Furthermore, our well-trained staff members are manageable to handle project shipments, such as moving equipment for concerts/film production between countries and forwarding exhibition items for world fairs. 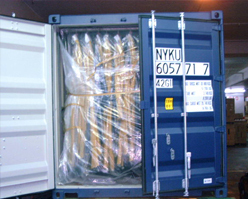 TRANS-AM Sea Freight (HK) Ltd.